Criminal turned Actor Nigel Akkara wiki profile biography life details, Nigel Akkara Birthday Address Mobile Phone Contact Number Nigel Akkara Family Father Mother Wife Children Son Daughter Nigel Akkara Qualification Educations School College Name Nigel Akkara professional Career Awards Achievements Nigel Akkara Early Personal Secret Professional Educational Life works occupation Nigel Akkara Presidency Jail Criminal Actor Businessman latest news updates information. Who is Nigel Akkara? This question can arise in the mind of people after watching the superb acting in Bengali film Muktodhara. Actor Nigel Akkara is one of those exceptional personalities who proved that Criminals can return as a normal human being. Actor Nigel Akkara was convicted for a Murder and spent nine years in Presidency Jail (Kolkata) and now leading a life for which we can be proud of. Let's check few more details about Muktodhara Movie Star Actor Nigel Akkara below. • Full Name of Nigel Akkara: - Nigel Akkara Vicky. • Birthday of Nigel Akkara: - 13th August [Age of Nigel Akkara is 33 as on 2012]. • Nigel Akkara House Address: - Behala, South Kolkata, West Bengal. •Nigel Akkara Family Background: - Nigel Akkara is originally from Kerala, South India and his mother tongue is Malayalam. After shifting to Kolkata, long days back, he is now living with his Mother (name Usha John), Brother & other members of his family at Behala (Kolkata). Brother name of Nigel Akkara is Naveen Akkara. • Nigel Akkara Educational Qualification: - Nigel Akkara completed his school & college life at St. Xavier’s Collegiate School & St. Xavier’s College respectively. He has completed his Post Graduation in Human Rights in the year 2000. • Marital Status of Nigel Akkara: - Single. • Occupation of Nigel Akkara: - Businessman [own a company that provides Housekeeping, Pest control & Security services], Professional Dancer & Actor as well. • Professional Life Works of Nigel Akkara: - At the age of 21, Nigel Akkara was arrested for Kidnapping, Extortion & Murder and jailed for nine years. It was very tough to spend the years after years in a 6"x8" cell of Presidency Jail in Kolkata. During the prison life, Nigel Akkara discovered Culture Therapy from his 'Guru' Alokananda Roy, renowned Dancer & Social Activist. It's the joint effort of Alokananda Roy & Nigel Akkara to transform a 'Criminal' to a 'Hero'. Nigel Akkara met Dance Guru Alokananda Roy in 2007 at Presidency Jail, where she used to come for rehabilitation cause of victims through Dance Therapy. Nigel Akkara was taught by Dancer & Social activist Alokananda Roy since 2007 and was taken outside of Presidency Jail for Dance Drama Shows as well during his jail-period. In 2009, Nigel Akkara released from Presidency Jail and started working as an Administrative Officer for TouchWorld NGO, which works for the Childs of convicts. After few months, he started his own company that provides Security Services, Pest Control & Housekeeping. Apart from his business, Nigel Akkara also continued his Dancing shows along with Dance Guru Alokananda Roy. Ms. Roy & Nigel Akkara performed not only in Kolkata, West Bengal; but also performed 'Balmiki Pratibha' Dance Drama in Mumbai. 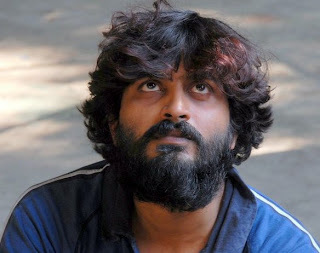 Nigel Akkara was approached by Bengali filmmaker Shibaprasad Mukhopadhyay for playing a crucial role of Yusuf in Bengali cinema Muktodhara, which released in 2012 & acclaimed by the people. Muktodhara film star actor Nigel Akkara is the symbol of Hope & Rehabilitation and inspiration to all of them who want to come back to their normal life after committing criminal offence by force of circumstances. 'No one is Born a Criminal, Circumstances force them into crime' - Nigel Akkara is the real inspiration to all of them who have been forced to crime by the time & circumstances. Good wishes to Nigel Akkara for upcoming life & Career from the team of Kolkata Bengal Information. We all are looking for more good jobs from you (Nigel Akkara), so keep on doing your best work for us.